That magical effect that cooking can bring to the palate, accompanied with wine, is an invitation to be inspired. Evolving tastes deeply rooted in one’s origins can also contribute to inspire other creators within the gastronomic spectrum to seek out how to match this renovation which calls also for adding news styles of wines, pushing the limits of local grapes and winemaking. Smashing Plates is an invitation for those that love the fresh flavours of Greek and Mediterranean cuisines, and who are not afraid to be adventurous in the kitchen with flavours and combinations. The 120 recipes are inspired by Maria’s Cypriot roots and a summer spent cooking at her father’s taverna in the Troodos mountains. From delicious vegetable dishes such as Carrot Keftedes to food of the seas such as Courgette and Feta Crumbed Squid, alongside a tempting range of sweet dishes including Watermelon Mahalepi, Rose Water and Almond chocolate tea cakes and Chocolate Tahini Cake. 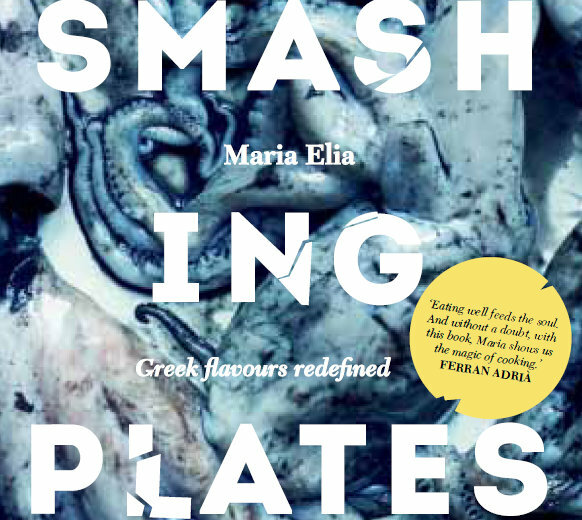 Smashing Plates is a stunning compendium of Maria’s inventive recipes that will open the readers eyes to a whole new world of Greek cooking, with its focus on fresh food, vegetables and olive oil, is healthy, affordable and delicious. Maria’s inventive approach gives it a contemporary appeal. 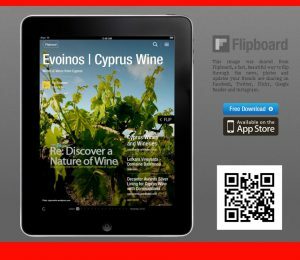 Nothing like smashing recipes to inspire grape crushing and winemaking in Cyprus as work in the wineries goes into full swing. The regional flavours of these far-flung places feature in Maria’s own recipes with considerable originality, earning her many fans during her tenures as head chef at Delfina and the Whitechapel Gallery Dining Room, where she garnered 2 AA rosettes and a Michelin recommendation. During her time as the executive chef at Joe’s in South Kensington, Maria continued to astound with her imaginative and flavoursome dishes. Not surprisingly, she was voted one of the Top 10 Female Chefs to watch by the Independent. Maria has appeared regularly on television programmes, including BBC Saturday Kitchen, Market Kitchen and Perfect, and contributes to various publications such as, BBC Good Food Magazine, Olive, Waitrose, Delicious and The Guardian. Alongside The Modern Vegetarian, she is the author of the award-winning cookbook Full of Flavour, also published by Kyle Books. Smashing Plates is published by Kyle Books and is to be released on the 26th of September, 2013.